Learn how to make cold soup recipes which are very appealing during the hot days of summer; much like the warming effect of hot soups in the winter these seem to cool us down in the heat. 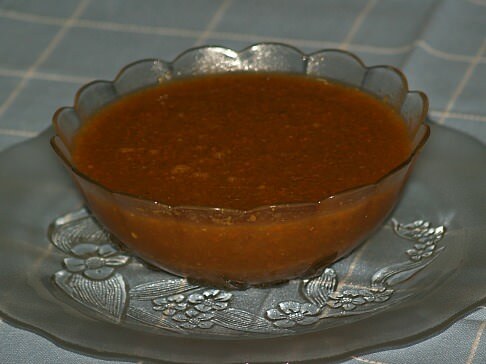 There are two types of these soups; the ones which are normally served hot but now chilled and the ones which are never heated utilizing the fresh ingredients like a variety of vegetables and fruits. If you are learning how to make cold soup recipes and want to make them from traditionally hot soups, the best ones for chilling are vegetable purees. This type of soup should have very little fat in the recipe; every bit of the fat will firm up when chilled and make a very unappetizing taste in the mouth. When you are learning how to make cold soup recipes the one which are never heated are best made from fresh crisp vegetables and fruits. Although I have always preferred the soups served hot, some of these thick creamy cold fruit soups taste like delicious desserts. Many fresh berries like raspberries, strawberries and blueberries are used in fruit soup recipes and combined with heavy creams they are really tasty. Cold soup recipes like the gazpacho is a wonderful blend of uncooked peppers, cucumbers, tomatoes, onion and other fresh vegetables. Also very popular are the many cucumber recipes used to make cold soups. In many restaurants you will find vichyssoise soups listed which are also very popular. These are thick creamy soups which can be served hot or cold. They are made with pureed onions, potatoes, leeks and other vegetables combined with chicken stock and cream. Blend the tomatoes, green pepper, onion and cucumber in the blender until smooth. Pour into a large glass bowl. Add the tomato juice, parsley, olive oil, wine vinegar, salt and pepper. Mix well to blend. Set in the refrigerator for several hours to get cold and blend the flavors before serving. Next from my soup recipes is what I call a cucumber soup. Many people might call it a vichyssoise because of the other ingredients in it. This cold soup is also very delicious in the summertime and is among ways to cook potatoes. Place in a blender the potatoes, cucumbers, onion, salt, pepper, leeks and broth. Cover and blend until smooth. Pour into a large mixing bowl. Add the sour cream and mix on low speed until mixture is blended well. Refrigerate for a couple hours before serving. Garnish with chives. The avgolemono recipe is very popular in Greece and often served in Greek restaurants here in the United States. This cold soup recipe is made thick creamy with beaten eggs; this cooked lemon soup can be served hot or cold. Combine chicken broth, rice and salt in a large saucepan; bring to boil and reduce heat. Cover pan and simmer until rice is tender about 15 to 20 minutes; remove pan from heat. Beat eggs in a bowl until pale and fluffy; beat in lemon juice. Slowly stir about 2 cups of the hot broth into the egg mixture; whisk briskly. Pour this mixture back into the rest of the soup; whisk until slightly thickened. Cool to room temperature, then refrigerate until very cold. Soup will settle and thicken slightly as it chills; stir before serving. This can be served hot or cold; if reheating DO NOT BOIL and stir constantly while heating. Combine tapioca, sugar and 1 cup water in saucepan and bring to boil stirring constantly. Remove from heat and blend in orange juice until melted. Add remaining 1 ½ cups water and cool 20 minutes; stir, cover and chill. Add favorite chilled fruits; honeydew, cantaloupe, grapes, raspberries, bananas, crushed pineapple, etc. NOTE: Add fruit right before serving; if needed add lemon juice or a little sugar to fruit. FOR DESSERT add pineapple to mixture. Place strawberries one package at a time in blender and puree. Place pureed berries in large bowl with sour cream, water, wine, lemon juice and salt. Beat berry mixture until smooth and chill. Place all ingredients except seasonings in the blender and blend well. Add seasonings and blend again. 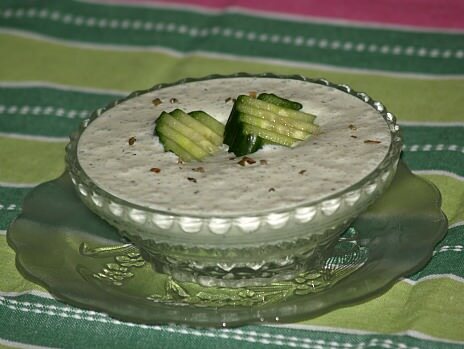 Learn how to make cold soup recipes by trying this Bulgarian yogurt soup. Peel, cut in half and seed cucumbers; sprinkle with salt to taste. Dice cucumbers into small pieces; combine all ingredients in a bowl. Refrigerate for at least 1 hour; serve cold. NOTE: If in a hurry, add ice to make it real cold.